Offers interactive programs for communities, classrooms, and on campus. You can launch rockets, create electric circuits, and more. They also have an arena with free-flying tropical butterflies. They have 2 IMAX theaters, a planetarium, and a laser dome. Kids menu items are available in the Cafe. We homeschool and have a membership and love going during the week. It’s less crowded and there’s so much to do and look at. Great tot area, and plenty for older kids around the museum. 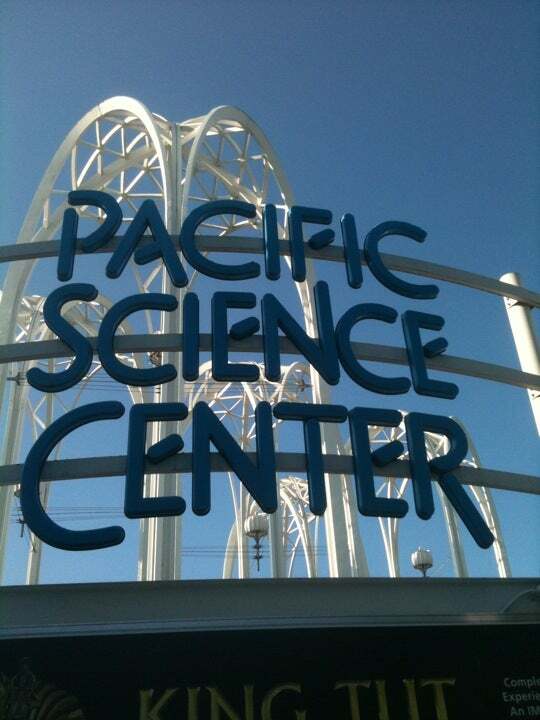 It’s going to be a scorcher this weekend so head inside to the Pacific Science Center. Get smart in time for back to school with interactive exhibits open daily from 10am to 6pm. Long term exhibits are fun and educational. Planetarium, play area for small children and a space for temporary exhibits too.